You can download two more interesting discussions from the Community Development Podcast and Tiny Spark which consider a funder's perspective and how international campaigns achieve effective social change. Pride of place includes valuable contributions from Carey Newson, author of our essay ‘Designs on the Past’, Becca Antink, The RSA, Paul Bristow, Arts Council England, Jane Sills, Ramsey Big Local and Helen Graham, Centre for Critical Studies in Museums, Galleries and Heritage. 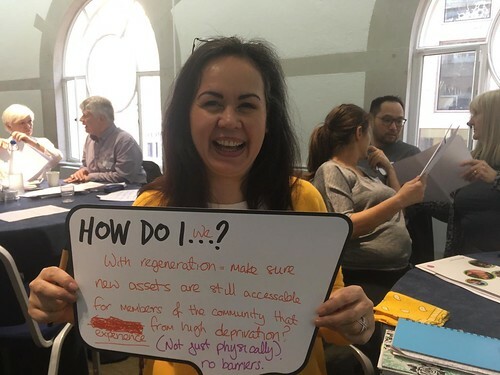 The Community Development podcast is about community development in Wales, the UK & beyond: promoting its value; sharing its learning and connecting its practitioners. In this podcast, John Rose, Director of Big Lottery Fund Wales, explains how responsive funding remains key to helping communities achieve their ambitions. Tiny Spark is an independent news program and podcast that reports on philanthropy, nonprofits and international aid. Susan Wolf Ditkoff looks at what’s actually working to bring about successful social change including 15 successful campaigns across the globe which have had major impact.